In any circumstance, being seriously injured can cause you a lot of pain, and not just physically. Injuries could, depending on their severity, result in people being unable to work for a period of weeks, months or perhaps even a lifetime, which could mean not having a regular source of income. If you’re unfortunate enough to be in a situation like this, and the accident which resulted in you becoming injured was caused by someone else, getting help from the people at www.nowinnofee.net could be the best course of action for you. A lot of people who’ve been seriously injured in accidents don’t realize that it’s possible for them to make a compensation claim, which with the appropriate evidence of your injury and its causes, could be done easily, quickly and for free. The reason why a claim can be made free of charge is that there are lawyers and solicitors who can work on your behalf on a ‘no win no fee’ agreement. This means that if your case is lost, you won’t have to pay them anything in the way of legal fees. Also, in the event of a win, the other side will pay the costs of the lawyer/solicitor that you hired. Hiring a ‘no win no fee’ legal professional is one of the best things you could possibly do when wanting to make a compensation claim. In the event of success, you stand to keep 100% of the compensation awarded to you, and the money won can help to cover the costs you face after being injured. The most important thing about winning compensation is that, if you do, you’ll be free from the financial worries faced beforehand and you can get on with your recovery. Great info. Didn’t really know about ‘no win, no fee’ legal service in compensation cases. I was only familiar about the same arrangement with indigent litigants in labor claims. Thanks. Do tell me if you know anything about it as well. My understanding of third party insurance claims involve the insurance company of the other driver in an accident. 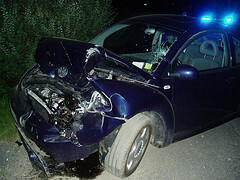 Usually, it is your insurance company who makes that claim because it is their fault in the accident.